A New council house development launch in Creswell has marked the start of a four-year housing partnership in Bolsover District. We entered into the house building partnership with Robert Woodhead Ltd. earlier this year. Titled B@Home, the Partnership, which was procured through the Efficiency East Midlands (EEM), New Build Developer Framework will deliver over 100 high quality, energy efficient homes, over the four year period. 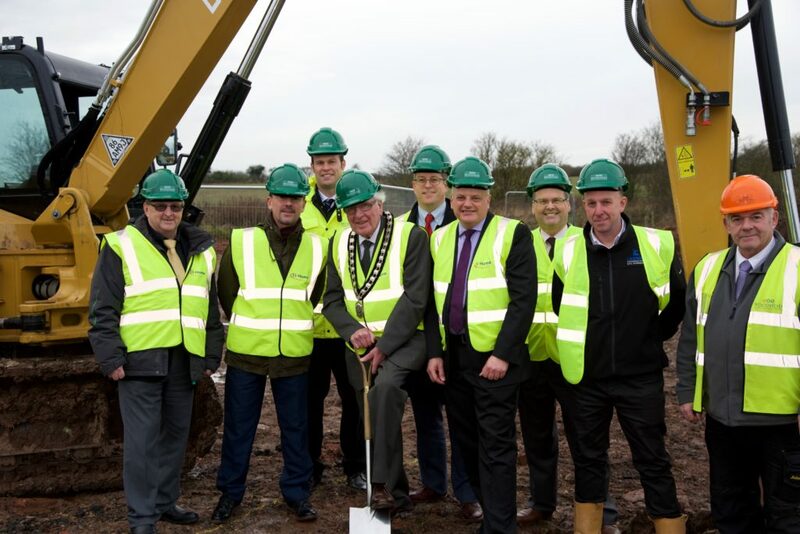 The launch saw the first sod being cut at Rogers Avenue, Creswell to signify the start of the project, which will not only create council houses, but will see many other benefits such as 200 training events and more than 50 work experience and apprentice opportunities for local people and businesses. The first phase of the development, starting at Rogers Avenue will see 7 dwellings built by July 2016. Deputy Leader, Councillor Mary Dooley said, “This launch is the start of a very exciting period for the Authority and means we can look forward to offering new council houses to our residents. Cabinet Member for Housing and I.T., Councillor John Ritchie stated, “As a Council, growth is our top priority and partnerships, like in this project, are essential to us being able to achieve our goals and unlocking the growth potential in the District. Glenn Slater, Business Development Director at Woodhead said: “The B@Home Framework is about raising standards, building aspirations and delivering high quality energy efficient homes in partnership with Bolsover District Council. Pete Smith, Managing Director at EEM Ltd said: “As a procurement consortium we work hard to secure efficiciencies for our member, but it’s just as important that we are able to have a positive impact on the communities we serve through the delivery of our programmes.